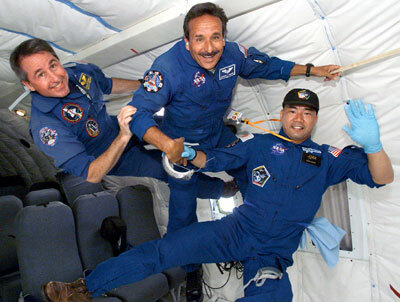 Ok, our space explorers need better space suits but what about clothing inside the spaceship? If they are members of the astro-military or a civilian space exploration group astronauts will probably have to wear some type of uniform. NASA has its blue flight suits but lets face it, they are completely sexless and leave the astronaut looking like petrol station attendants. Surely we can do better. Hollywood has been working on this problem for decades so lets see what they have come up with. Tom Corbett from the 1950's TV series certainly had a futuristic uniform. But I don't think the Super Nerd look cuts it. Although I think the boys at the MardiGras might like the outfit. Star Trek would have to be the most famous TV space show. 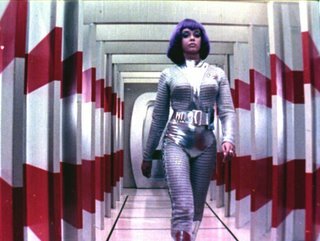 Lt Uhura looks lovely in her mini skirt but sorry girls, skirts are just not going to work in zero-G. The Star Trek male uniform had its own problems. They looked very streamlined but where do you put your communicator and phaser? Captain Kirk had a holster arrangement under his shirt. Didn't look very comfortable to me. 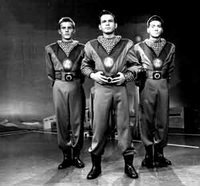 In the 1970's Gerry Anderson, famous for his Thunderbirds puppet productions, gave us two live action Science fiction series. 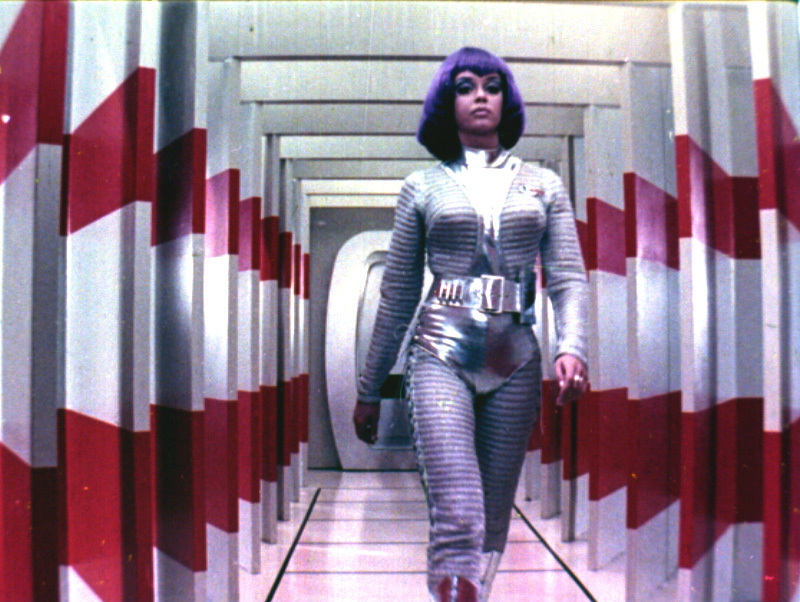 UFO had a moon base populated by an all female crew who wore purple wigs and silver bodysuits. This is probably the most bizarre attire anyone has every proposed for a space mission. No explanation was ever given as to why there were no male lunar crew members or why they all wore the same uniform but hey, I suppose it satisfied someone's fantasy. Mr Anderson 's next series was Space 1999 again it had a moon base but this time everyone was wearing pajamas. More recently shows like Babylon 5 and the new Battlestar Galactica has more believable uniforms but they are really updated military uniforms not specialised space uniforms. However there was one show that did have realistic well thought out space uniforms, Star Trek: Enterprise. Awful show but it had great uniforms. Have a look at the humans in the picture. Simple one piece jumpsuits with lots of closeable pockets. Usable in all gravity environments and plenty of places to hide your communicator. Very importantly both the men and women look good in them.